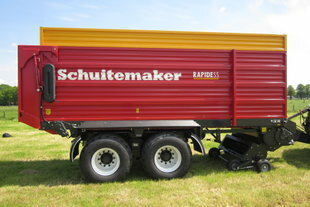 Rapide 10 serie | Schuitemaker Machines B.V. The Rapide 10 series is the smallest of the Rapide series, but its performance matches that of its bigger brothers. 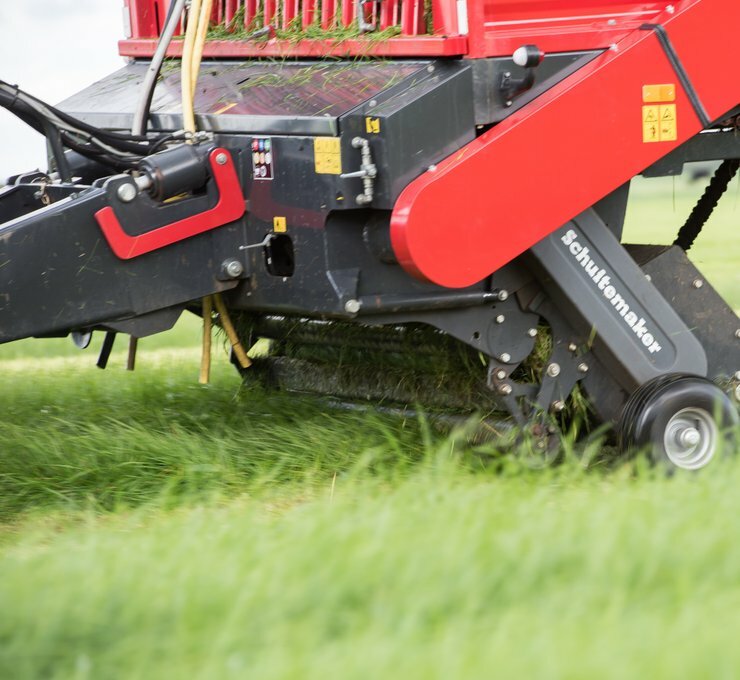 The star-shaped cutting rotor with 20-mm stacked wide tines and 7 rows of tines is similar to the one from the 100 series in terms of shape and diameter, but the rotor is 20 cm narrower. 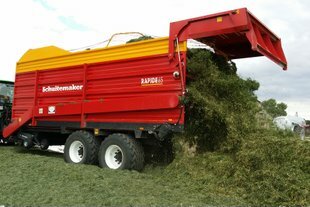 The pick-up is also 1.80 m.
The drive of the deck chain is either one-sided (Rapide 55) or double-sided (Rapide 65). 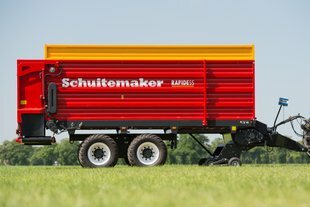 The wagon comes standard with an 18-ton non-steerable pendulum tandem and 4-wheel brakes. 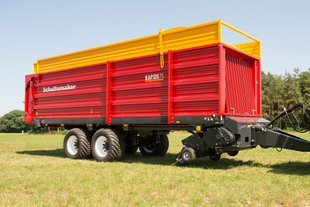 Even the smallest Rapide is a dual-purpose loader wagon. 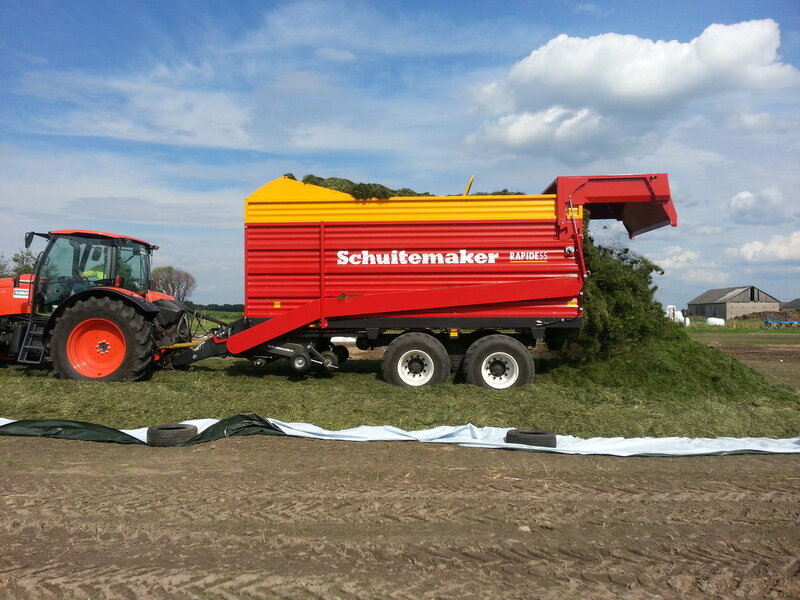 The robust construction of the wagon means it can run with a forage cutter in maize. As well as the standard construction, an extra 40 cm top guide is optional. 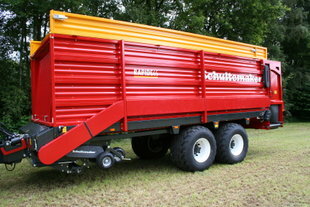 This optional construction comes with ropes for the optimal transport of crops during the loading process.. This top guide gives the wagon a maximum DIN capacity of 38 m3.